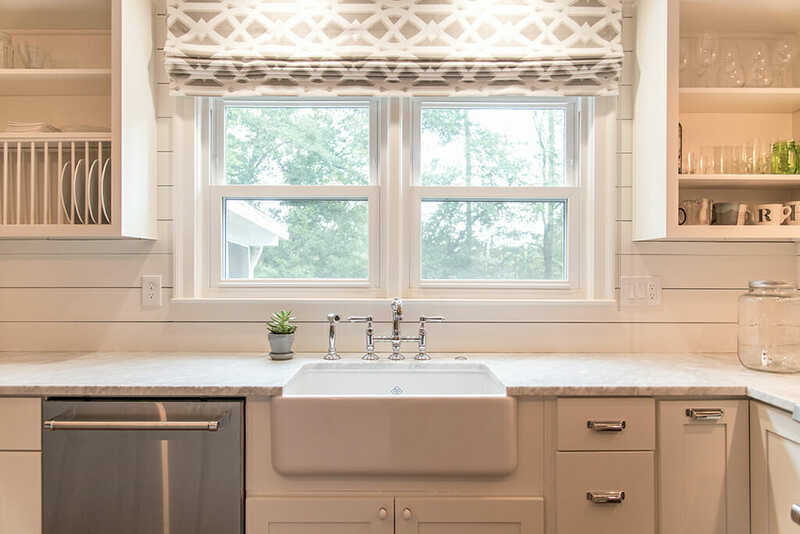 Client Goals: Update an otdated kitchen in a traditional style. 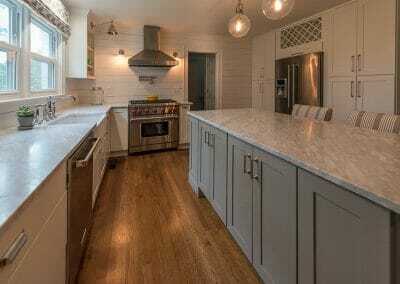 Our Solution: We removed the old kitchen and repair the floors. 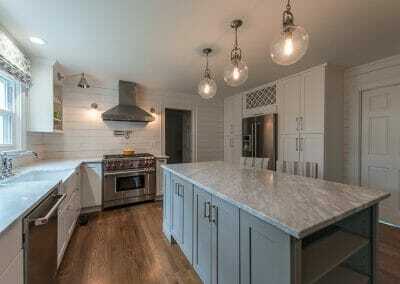 Installation of new cabinets, appliances, custom lighting, island counters and paint. 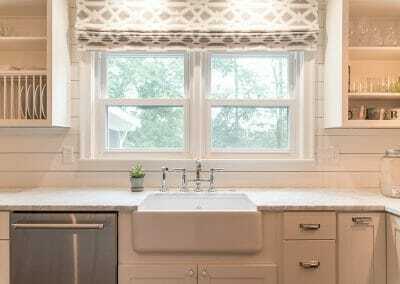 Despite the vintage feel, this kitchen is all-new. 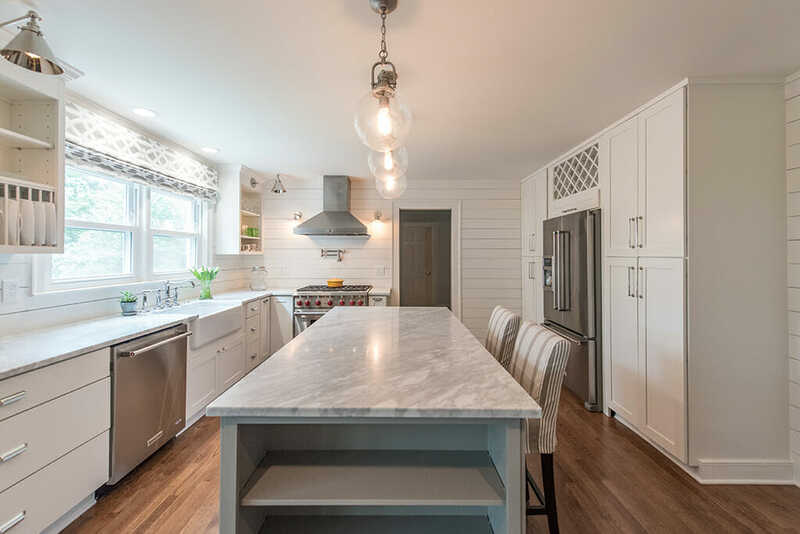 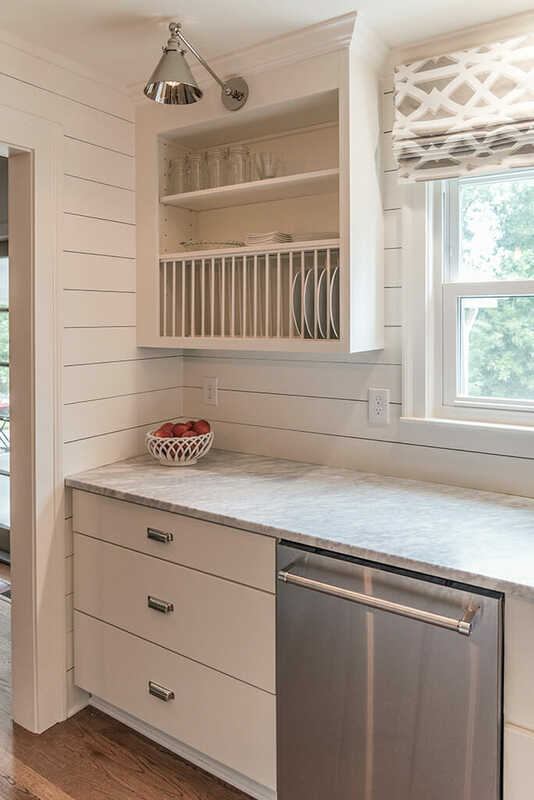 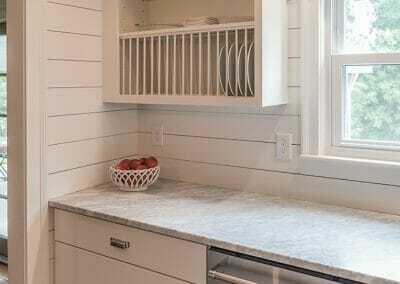 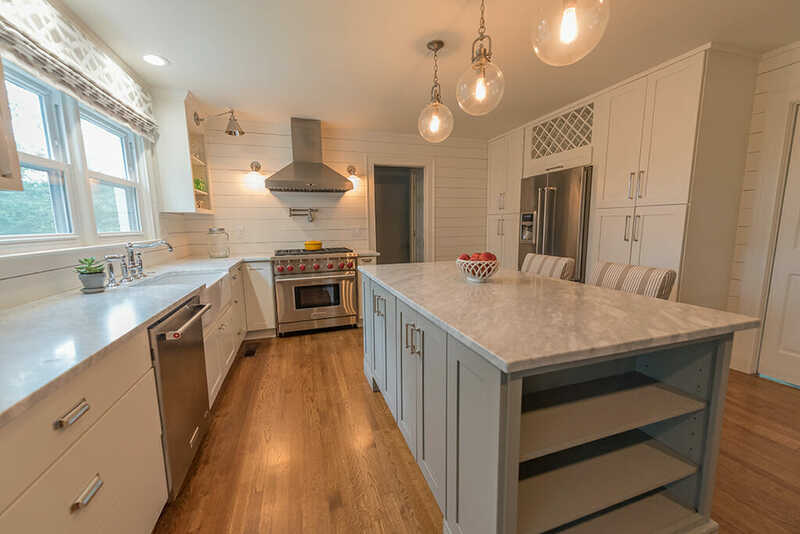 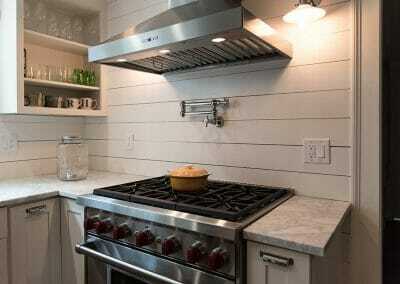 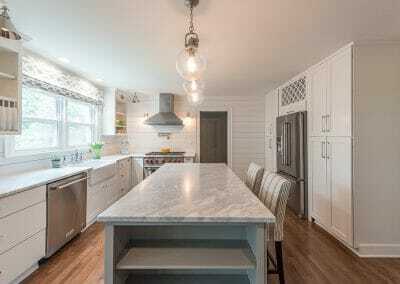 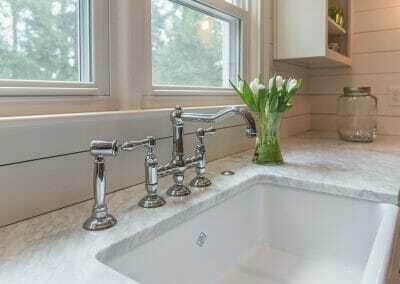 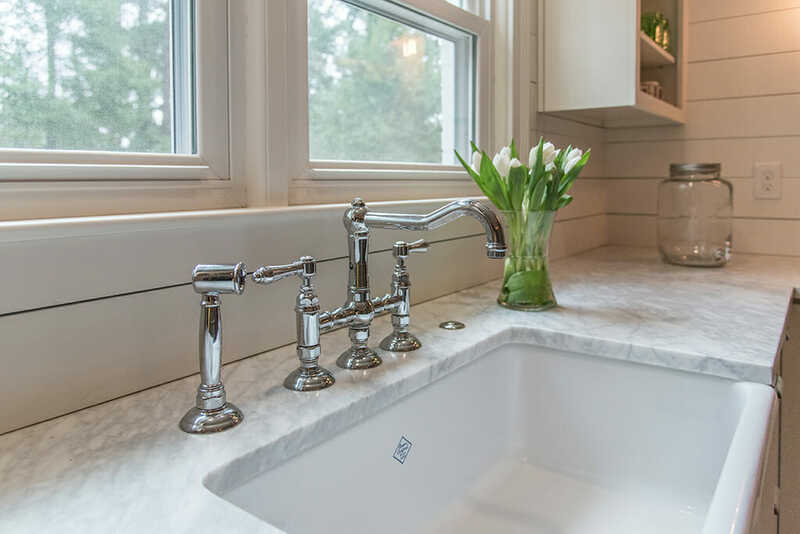 The marble counters, shiplap walls, and farm sink work together to create a great farmhouse look. 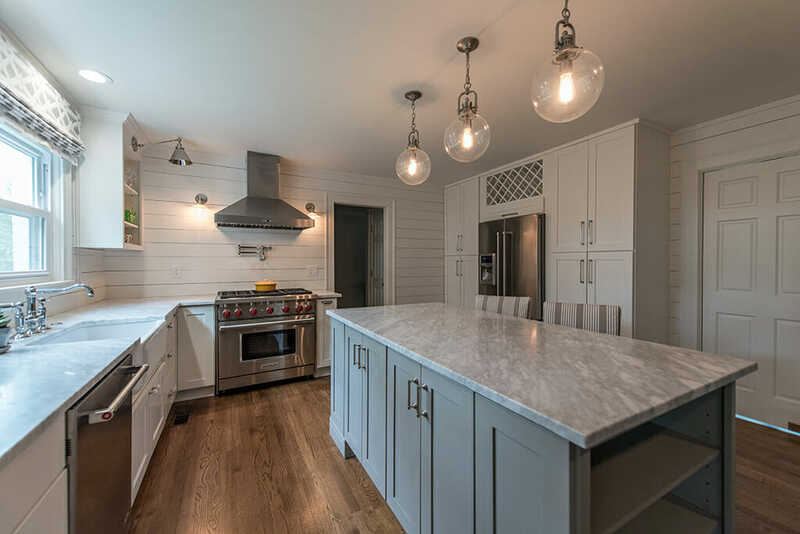 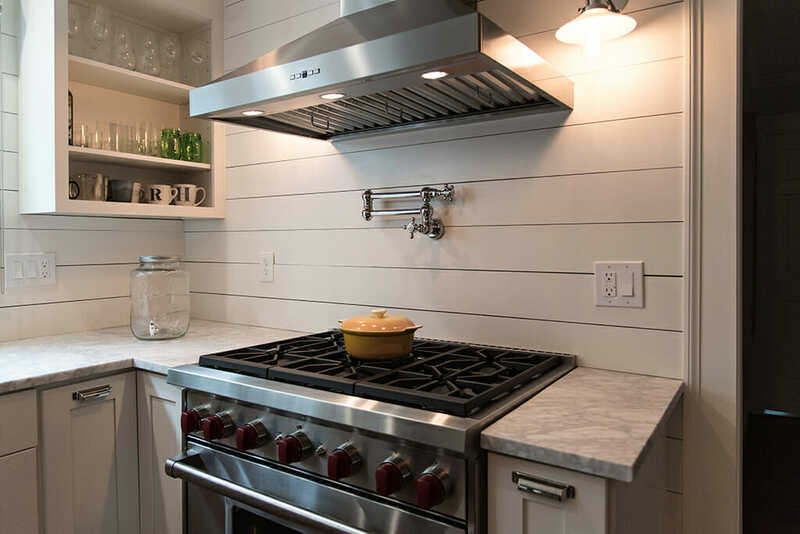 Custom details include the pendant lights over the island, open shelving, and the plate rack. 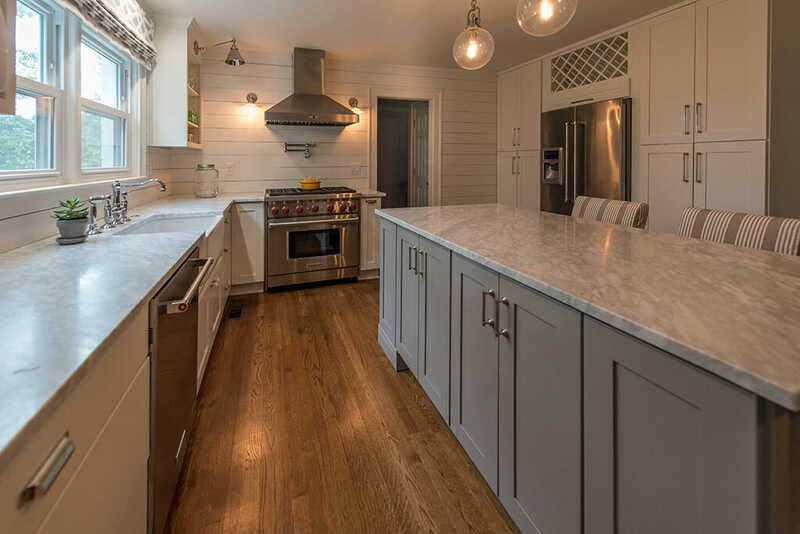 We painted to island gray to add a visual pop.